"I originally joined my father in his practice because of his high standards and ethics in the field of dentistry, and I am proud to say that I have continued to provide those standards of care as a family-oriented cosmetic and general dentistry practice that seeks to develop and maintain a long-lasting relationship with all of our patients. Our patients appreciate my attention to detail on each and every case and the cutting edge technology that we use on a daily basis, which allows me to offer my patients exceptional dental care. 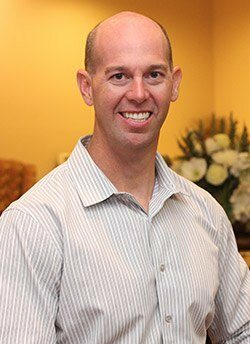 Dr. Greg Martin became the third generation of Martins to receive his undergraduate degree at Texas Wesleyan University, joining the Martin Dental Practice in 2002. He began postgraduate studies at the University of Texas Health Science Center in San Antonio and received his Doctor of Dental Surgery degree from Howard University College of Dentistry in Washington D.C., where he graduated second in his class. He received the prestigious Restorative Dentistry Award both as a junior and senior. This award is given to the student who demonstrates outstanding performance in the field of restorative dentistry and fixed prosthodontics. Dr. Martin was also elected into Omicron Kappa Upsilon (OKU), a National Dental Honorary Fraternity and is a member of the Texas Dental Association, the American Dental Association, and the American Academy of Cosmetic Dentistry.